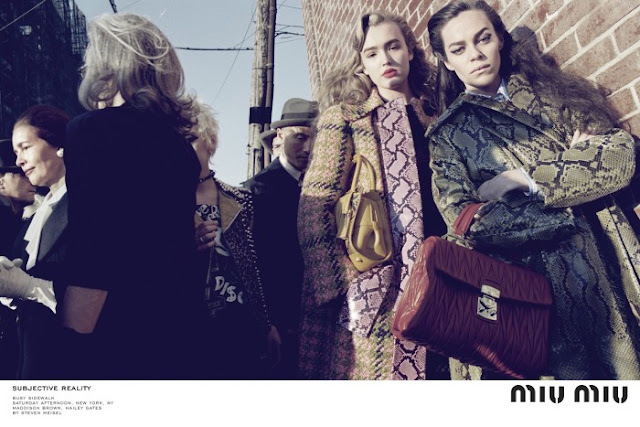 MIU MIU releases 'SUBJECTIVE REALITY', the new Fall/Winter 2015/16 Ad-Campaign. Maybe it’s the season, or the constant change in fashion, but high fashion seems to be taking their campaigns in another direction the streets. 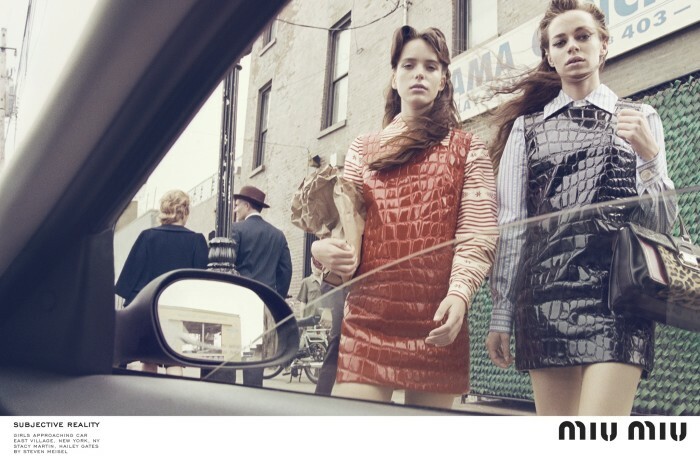 First, there was Gucci, and now Miu Miu. The Italian house shot their Fall 2015 campaign in New York City, from the bus stop to the traffic lights to the sidewalk. 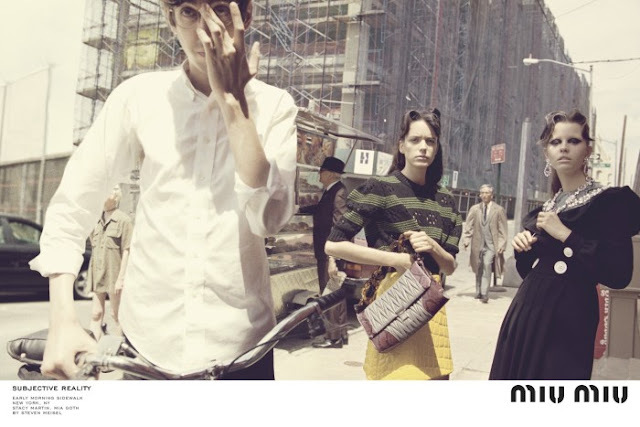 Campaign shot by Steven Meisel, starring Maddison Brown, Hailey Gates, and repeat Miu Miu campaign stars Mia Goth and Stacy Martin, the four models pose casually accompanied with a backdrop of equally stylish passer-bys. 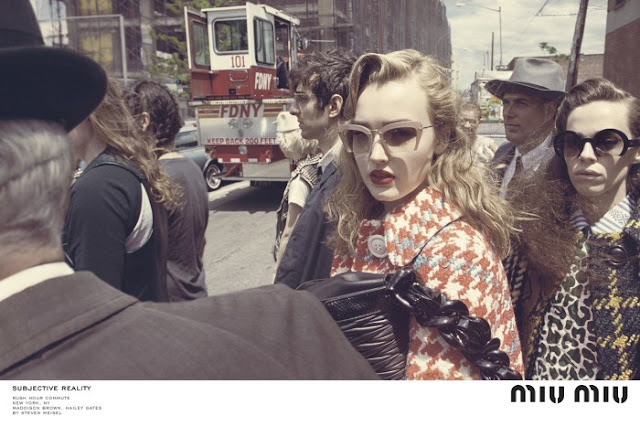 We love how the photos come with obvious captions such as “girls approaching car” and “waiting at bus stop”, something in which Miu Miu does not usually adhere to. If this means a fresh take for the label from Miuccia Prada, we’re totally in.